Bright golden amber color. Aromas of buttery roasted peanuts, caramelized citrus, floral tea, and chocolate fudge with a slightly chewy, vibrant, dry-yet-fruity medium-to-full body and a warming, involved, very long honey roasted corn, peppery spices, nutty oak, and grass and mint finish. A robust, concentrated bourbon that will be superb in cocktails. 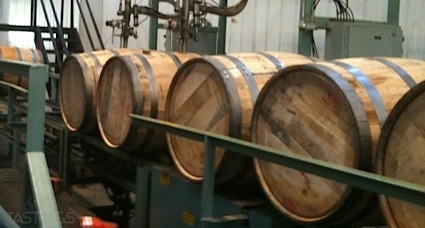 Bottom Line: A robust, concentrated bourbon that will be superb in cocktails. 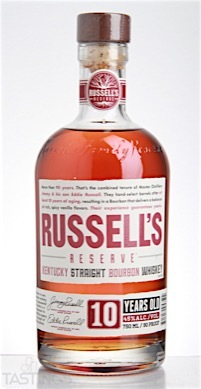 Russell’s Reserve 10 Year Old Kentucky Straight Bourbon Whiskey rating was calculated by tastings.com to be 92 points out of 100 on 9/14/2016. Please note that MSRP may have changed since the date of our review.